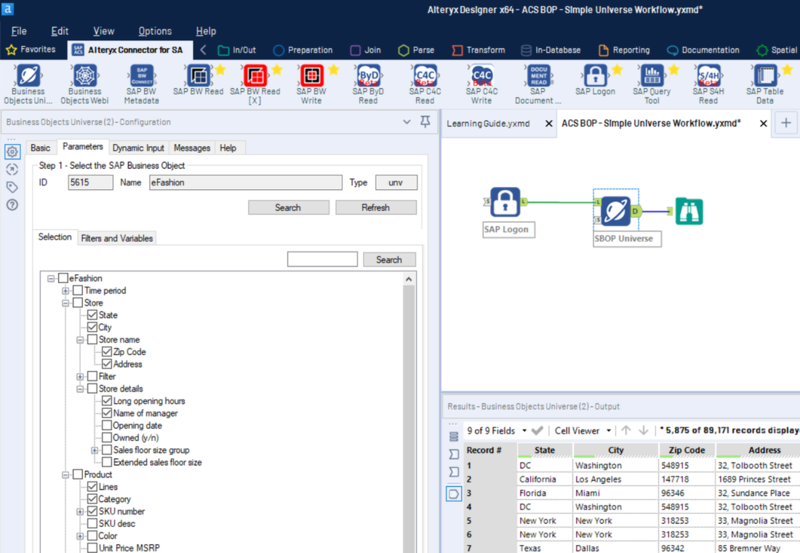 The DVW Alteryx Connector for BusinessObjects (ACS BOP) is the fastest, easiest way to extract data from BusinessObjects into Alteryx. Seamlessly extract and blend data from BusinessObjects Universes and Webi Reports with data from other sources into your analytical applications. 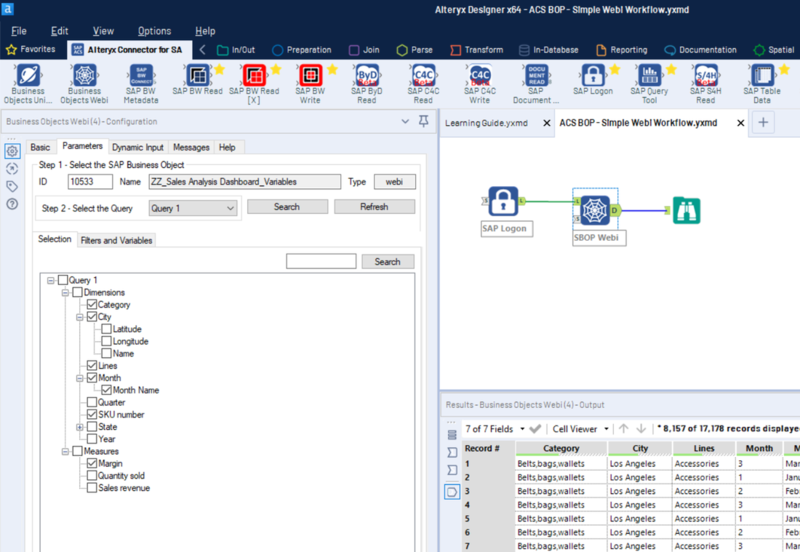 ​The DVW Alteryx Connector for BusinessObjects works with all Alteryx tools. 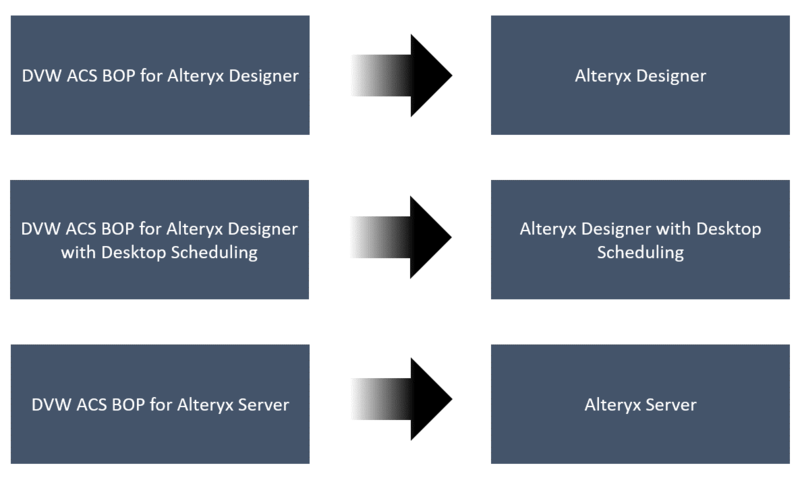 The DVW Alteryx Connector for BusinessObjects is "baked" into Alteryx and has zero impact on your BusinessObjects installation so you can be up and running immediately. BusinessObjects Universes (.unv & .unx) that are not connected to a live SAP BW platform. 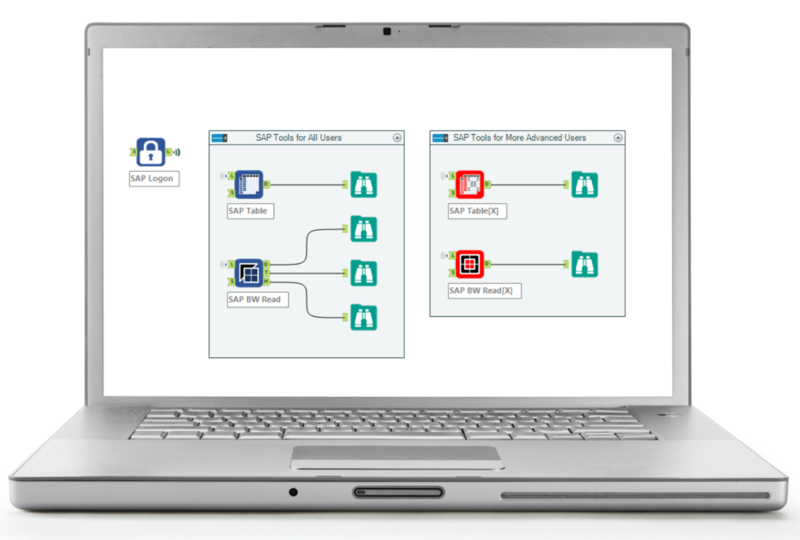 WHICH DVW ALTERYX CONNECTOR FOR BUSINESSOBJECTS DO I NEED?